Should you “agent up” or handle your own travel arrangements? Full disclosure: I am not really the “typical” traveler, just as I’m not typical in most areas of my life. 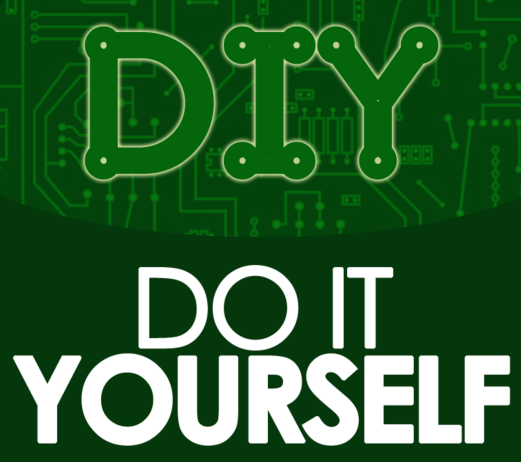 I’m an independent, can-do, DIY kind of person who loves delving deeply into something and learning all I can about it to make my own decisions. I’m also a control freak who doesn’t like putting my fate into the hands of someone else, even someone I know and like and trust. As a fairly successful author, I fired my “worthless agent” after about a year and started negotiating my own contracts with publishers, and came out making a lot more money than I had before and than many/most of my colleagues were making for the same type and amount of work. When my husband I decided to move to our current home and needed to sell the two houses we owned at the time, I put them on the market as FSBO (For Sale By Owner) and sold them for a very decent profit, keeping what I would have paid a real estate agent in commission. As you might guess, I’ve also made most of my travel arrangements myself, although I have used TAs a few times over the years. My first couple of experiences with agents were terrible; both times they screwed things up badly and it took time and money to fix their mistakes. That scared me away from agents for about a decade, but recently I’ve found some agents with whom I’ve had much better experiences. 1. Whether to use a TA depends on you – your personality, capabilities, how much time you have, and a number of other individual factors. There is no one-size-fits-all answer. 2. Whether to use a TA depends on the TA – all TAs are not created equal. They also have different personalities, capabilities, time constraints, and “styles” of doing business. It’s the combination of these two factors – you as an individual and the TA as a professional – that determines the quality of the experience that you’ll have when booking through a travel agent. It’s not enough just to select a good TA; it’s important to select a TA who’s best for you. That’s why you can’t always go by other people’s glowing (or negative) reviews of a particular TA. Being your own agent: are you up to the job? As I’ve often told other writers who questioned my DIY approach to marketing my work, there is a big difference being being agentless and being self-agented. It’s more than a matter of semantics. When you’re agentless – whether as an author or as a traveler – you write your book or you book your vacation and hope it works out. When you’re self-agented, you’ve put yourself through a rigorous learning process so that you understand the publishing business or the travel industry as well as many of those who do the job for other people for a living and you have the knowledge and skills to make it work out even if you encounter problems. · Do you love research? Do you want (and have the time) to spend hours reading reviews, comparing travel providers, digging into the fine print of contracts and terms of service, ferreting out information? · Are you assertive? If problems arise, a booking gets messed up, or you don’t get what you paid for, are you willing to get on the phone or in the face of the people who can make good on it, and insist that they do – without getting belligerent and emotional? Assertive is not the same as aggressive. Being assertive makes people respect you and usually leads to them working with you to help you both come out ahead. Being aggressive makes people dislike you and often makes them determined to not give in to your demands. · Are you flexible? Sometimes things happen that are no fault of the providers and couldn’t be anticipated. Hurricanes, earthquakes, civil unrest, mechanical problems with planes and ships, and many other circumstances can throw off your best-laid plans. Can you go with the flow and find alternatives without falling apart or letting it ruin your vacation? · Are you willing to accept full responsibility for your own (and your family’s, if traveling with them) happiness? As a self-agented traveler, you are solely responsible for making sure your reservations are in order, for getting the best value for your dollars, for getting the type of experience that you want. That includes dealing with last minute changes or unexpected occurrences, such as the Greek air traffic controllers’ strike that threatened to keep my plane from getting to Athens to board a cruise that I had booked almost two years before (yes, I handled it and got there in time to be one of the first people on board, but it was a stressful couple of days). Doing it yourself, and doing it well, is a lot of work, and there are no economies of scale involved, because you have only one client: you. If you think all of that sounds hard, imagine doing it for other people, people who are (usually indirectly) paying for your services and many of whom will expect you to be able to wave a magic wand and fix it whenever something goes wrong. Even if you opt to let a TA handle the hassle so you can just kick back and enjoy the trip, you have to admire and respect (and feel a little sympathy for) the agents who have to do all this learning not just for a few specific airlines, cruise lines, hotel chains, and transportation companies, and not just for a few travel dates per year, but for many more. 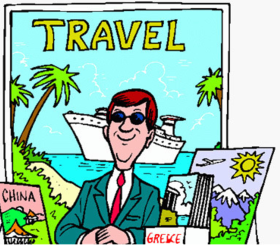 As with any profession, there are great, good, mediocre, bad, and terrible travel agents. A good one can make your life easier, and a great one is worth his/her weight in gold. In Part 2 of this two-part series, I’ll talk about the criteria you can use to select the right agent. I’ll then follow up with my personal experiences with some bad ones and some good ones, and how to tell the difference before you entrust your vacation to one.